A French chef who shocked the culinary world in 2017 by handing back his Michelin stars says he’s most surprised to find himself back in the prestigious guide’s new edition. 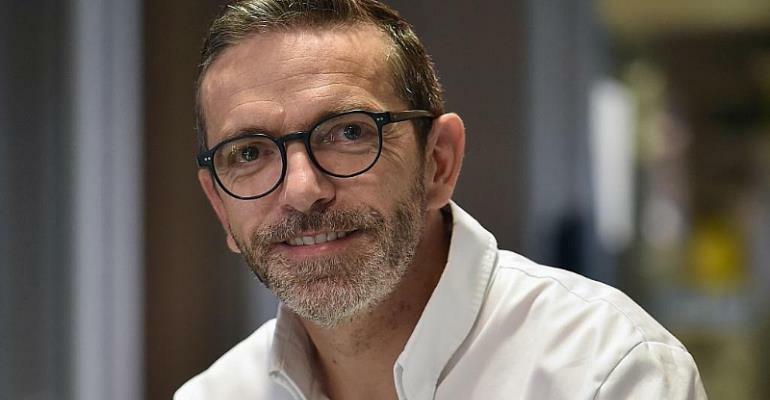 Sebastien Bras cited the “huge pressure” that came with Michelin recognition when in September 2017 he requested his three-star restaurant Le Suquet in the rural Aveyron region to be removed from the 2018 guide . Michelin agreed and Claire Dorland Clauzel – the company’s brand manager at the time – told AFP it was “difficult for us to have a restaurant in the guide which does not wish to be in it”. Bras returned to his restaurant and spent the year concocting inventive French cuisine without worrying whether or not it was meeting Michelin’s exacting standards. “This contradictory decision has left us with doubts , even if in any case we no longer worry about either the stars or the strategies of the guide,” he said in a statement sent to AFP. Bras senior had held three Michelin stars since 1999 , and his son said that knowing a single below-par dish could cost him his reputation had created unbearable pressure as a chef. “You’re inspected two or three times a year, you never know when. Every meal that goes out could be inspected,” he told AFP in 2017. “That means that every day one of the 500 meals that leaves the kitchen could be judged. “Maybe I will be less famous, but I accept that,” he said after dropping out of the Michelin guide. Marc Veyrat, meanwhile, has lost the third star he was awarded last year at La Maison des Bois in Manigod (Haute-Savoie). Michelin is set to unveil its full guide for the best restaurants in France later today.